5… A swanky coffee machine! Office culture has become a science. 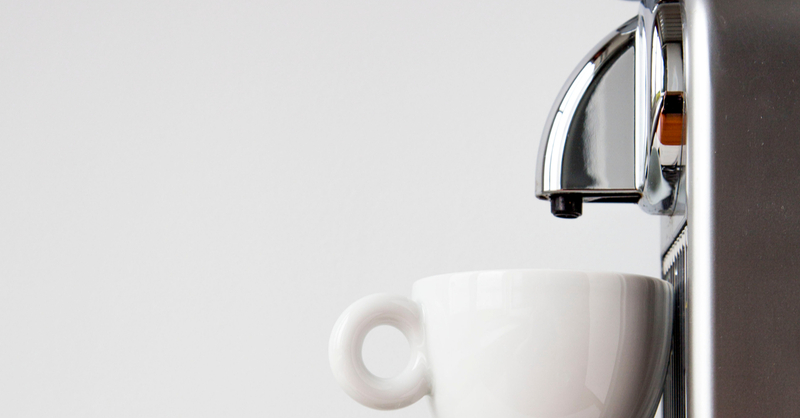 In the past, a paycheck and a water cooler might have kept your employees happy but as office culture has aged, it has refined also. Employees expect more and more from their chosen workplace. Now employers need to strike an almost chemical balance between a workplace and a fun space. If you are an employer, it’s likely that this cultural revolution has come as an added stress to your daily tasks, a footnote in a long list of things-to-do. It's possible that you might think: “to hang with this, it’s not worth the trouble” and this is an understandable standpoint if you haven’t been given the full picture. Let’s face it, 30 years ago, the idea of giving employees a ping pong table and beer would have been laughed down. The consensus would have been that a) no one would get any work done and b) this was exactly what a paycheck was supposed to finance. Then along came Google. Started by two students at Stanford the search engine did more than defining what the internet would look like, they also began a workplace revolution that would send tremors throughout the corporate world. 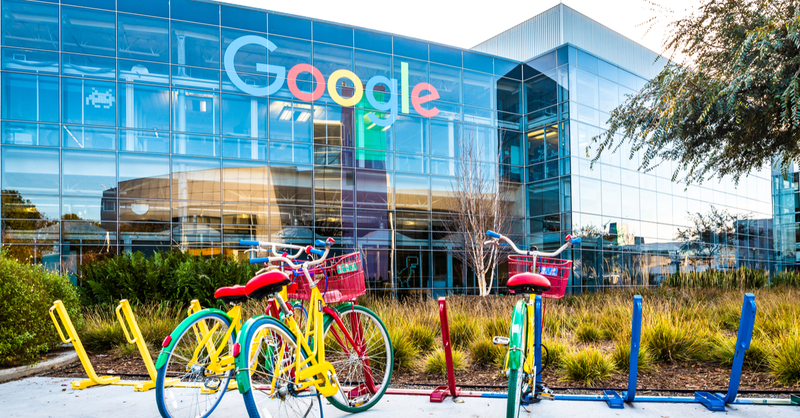 It was shocking, outrageous and to some incomprehensible but Larry Page and Sergey Brin scrapped the office mold and began creating a pleasure palace that surrounded their employees’ desks, complete with gyms swimming pools and 18 cafes. In fact, the Googleplex, as it was named, didn’t really seem like a workplace at all, more like a Centre Parcs. And yet, to everyone’s surprise, productivity didn't drop, in fact, it increased. So as Google grew, so too did the idea that a stimulating workplace begets a stimulated workforce (who knew?). This was the seed from which the past 10 years of HR innovation has sprung from. From ‘flexible working’ to Employee Assistance Programs (EAP), all grew from Google's mantra that “you can be serious without a suit”. You’ve just walked into an office for an interview. You’re trying to gauge the vibe of the place, work out what the company atmosphere is like. How do you go about it? What’s the litmus test? You might try and read the people, judge their optimism but this can be tricky and misleading. Asking is no use either, who’s going to openly slag off their company? The best and easiest way is often to observe what’s going on in the office. Are people fun? Or do they look like they’re on the brink of throwing in the towel? If everyone is sitting in cubicle glumly tapping away on the keyboard, while the occasional flutter of conversation is heard at the kettle, this doesn’t bode well. However imagine seeing a social area filled with snacks and coffee, exercise bikes and a ping pong table. This paints an entirely different picture of the company. Your first impression would be that this was an innovative, forward thinking environment and most importantly there would be the assumption that this employer looks after its employees. From a very business-oriented viewpoint, increased public visibility is a fundamental strength of having perks at work. You will start to cultivate a progressive, innovative image. Taking care of your employees is one of the most effective ways to heighten your public profile and consequently the caliber of your candidates will increase. The second is more straightforward: people work harder in jobs they care about. It sounds ridiculously self-explanatory but if you scrutinise this idiom for a moment, you’ll realise how absent it is from employer language. There’s often an expectation that salary will overpower enjoyment. You pay someone enough money and they’ll just about do anything. It’s a fairly bleak characterisation of humanity and moreover, it’s also not true. What tends to happen is either you have unproductive staff, or you have fatal retention rates. Both of which are pretty disastrous outcomes. Moreover, making work enjoyable is often nothing to do with what an employee is doing but how they are doing it. If someone to sits for 9 hours in front of a screen repeating the same task, without moving, the chances of them enjoying themselves are pretty slim. Give them ample opportunity to refresh their mind and the monotony dissipates. 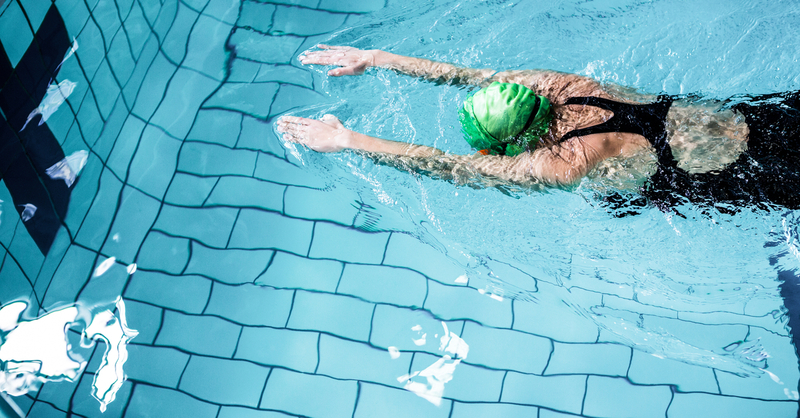 As Google showed us a quick game of ping pong, or a swim every few hours doesn’t harm employee productivity but increases it. Unsure? Well, this isn’t a minority opinion. In fact countries like Germany, or Sweden that have experimented with shorter working days, have reported increases in productivity and a reduction in sick days . The principle behind having recreation in the workplace is same same but different. It encourages employees to relax at work, as they would do at home. It gives them flexibility in their routine, it promotes health and well being. If you’re convinced but are looking for some inspiration, here are 5 perks at work that are employee approved! This is a fairly easy one to implement, it’s low cost and high reward. 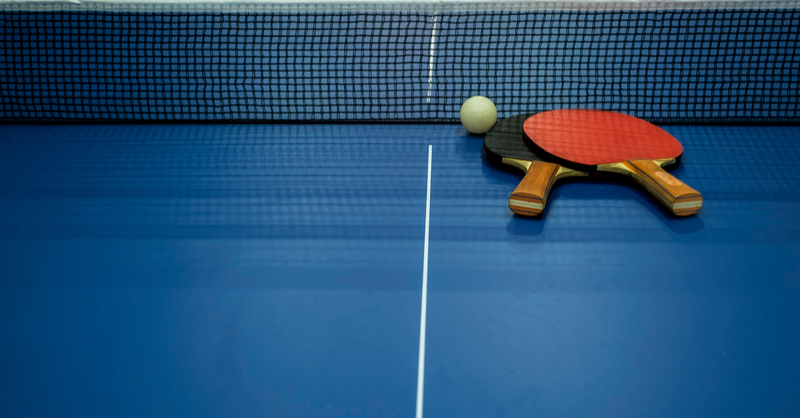 In the recent Great Perk Search, ping pong tables ranked the highest out of all other perks, with those surveyed giving it a score of 95 out of 100. It costs less than taking everyone out for a drink and who knows, you might find it a great way to relieve stress yourself! Turn moments of low productivity into an excuse for some company-wide fun. Friday afternoons are the perfect example. No one quite has the energy to achieve their full potential when it’s the working week’s dregs. Most employees will have already switched off and will be gearing up for the weekend. 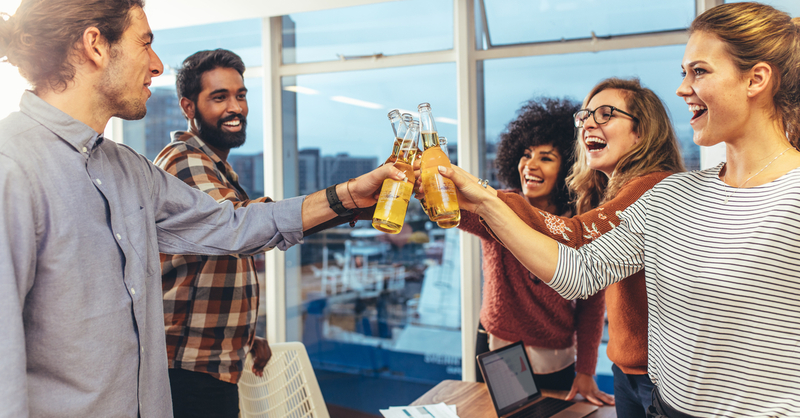 Letting your employees start it a little early with a treat lunch, or a few beers will not only boost your popularity but help them wind down properly into the weekend. We’re not making this up either, free lunch or beer ranked in the top 20 perks employees wanted. There can exist a tendency for coworkers to have a 9-5 friendship, facilitated and then terminated by the working day. The best way to break out of this rut is to bring everyone together by treating your team to a night out, or dinner, courtesy of the company card. If you’ve ever been part of a team sport, a vital part of team building is having regular “socials” to help players gel together. Adopting the same principle as a workplace perk has the capacity to improve teamwork and collaboration both in and across departments. The top-ranked perk in the Great Perk Search was extracurricular office activities, like sports teams, or book clubs. At first, this seems a little surprising (it ranks higher than a free lunch??) but take a moment and think back to school, or university. There was any number of opportunities to explore and expand your interests and/or skills, all for free. However, as soon as you enter the workplace this access vanishes without a trace. To be part of a club involves an application or a fee. So ask around your office and gauge what there is an appetite for. Running a 5 aside, or perhaps even a company chess club (whatever floats their boat) scores big points with employees. Perhaps a personal point but what office can hope to call themselves, progressive, innovative or productive without having a chuffing great coffee machine. In all seriousness, this should be a given, your employees will spend most of their lives in the office, will come in early and leave late, clocking up hundreds of hours of unpaid overtime. The very least you can do is offer them a decent cup of joe. These might seem more like "nice to haves" rather than office necessities but the research shows that company culture is integral to recruiting the most talented employees. Now, culture isn't just about having a coffee machine or providing the occasional pizza but if you invest time and money into making your workplace a fun engaging place to be, it will improve productivity and reduce turnover, ultimately saving you thousands in lost productivity and recruitment fees. It's something we believe in pretty passionately. We think everyone deserves to work somewhere fun, where they feel cared for. That's why we've developed a perks platform that provides your people with genuinely good perks at work and beyond. Whether it's discount codes for major retailers, a free coffee, or access to mental health specialists, Perkbox provides a template for what good looks like in the workplace.